Is a Prepaid Credit Card the same as a traditional Credit Card? Not quite. A Prepaid card is pre-loaded with a set amount of money. The amount you can spend is limited by the amount that has been paid in by yourself or somebody else. 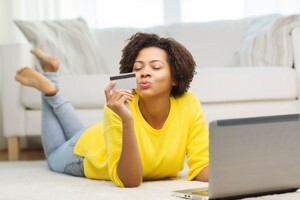 Here we will cover everything you need to know about prepaid credit cards. Prepaid cards are wonderful gifts for young people travelling on holiday for instance. The parents pay a generous amount, and instead of the young person having to carry cash on them, they can just use this prepaid credit card to buy whatever they need. The card looks just like your regular card, with all the same features. They are safe and easy to use and widely accepted. Many banks and retailers offer cards. They come as prepaid gift cards, travel cards and general purpose cards and each one have different features suited to a person’s lifestyle. You can choose between a reloadable or non-reloadable prepaid card. A non-reloadable prepaid card is similar to a gift voucher in that till you finish the funds on it. Most young people like their parents giving them the reloadable type Visa Prepaid card because you can add funds to them when the money is up. A Visa Prepaid Travel card, for instance, is super to have on your holiday because they can hold funds in the currency of the country you’re in. A benefit is that it eliminates the uncertainty of fluctuating currency exchange rates while you’re on your getaway. You can use prepaid credit cards in most places and for different things such as for airline bookings and hotel reservations. Probably the biggest attraction of these cards is that most people can have access to them – even those with bad credit. Managing a prepaid credit card is fairly easy too as unlike a traditional credit card, you don’t have to worry about interest or finance charges. What you’ve got in your account is yours to spend and there is no revolving balance or due dates to take into account. If you want to spend money abroad or even receive payment from companies abroad, a prepaid Visa or MasterCard will allow this. If you need to find out more on how these prepaid credit cards work, you can try out LowCards.com. They analyse the card and then write useful opinions on them for consumers. It is why people rate them as one of the best credit card comparison sites there is. ← A Virgin credit card is the most rewarding card you’ll find in South Africa today.